A showcase of young musicians from across St Helens was held at the town hall recently, telling the story of the Earth, its inhabitants, and the effects humans have on the environment. 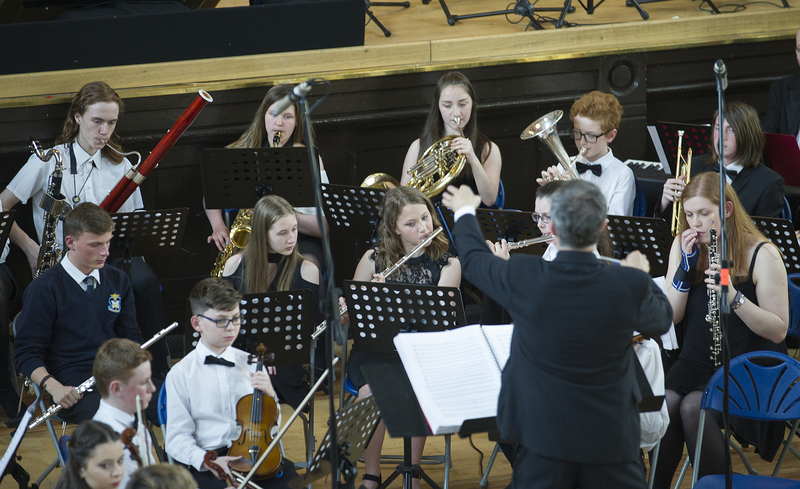 The concerts featured local primary school choirs, professional and upcoming soloists all accompanied by St Helens Youth Orchestra and their professional music mentors. Written to mark the 50th Anniversary of WWF-UK, ‘One Sun One World’ tells the story of our astonishing planet, in all its rich diversity, through the eyes of several characters, including the panda, polar bear, tiger, the cacao plant, and the old oak tree who narrates the story. As the musical unfolds, the characters become more concerned by the impact that our modern lives are having upon the planet. The children of the world wonder how we can sustain and help to protect this wonderful life we all know. The massed choir featured members of St Helens Vocal Youth and pupils from several primary schools, including Sutton Manor, Sherdley, Blackbrook St Mary’s, Sutton Oak CE and St Peter’s CE. The new Mayor and Mayoress of St Helens, Councillor Joe Pearson and wife Sylvia, were in attendance.